When you know that a film is an Oscar contender prior to seeing it, especially in regards to performance categories, you tend to wait for those "wow" moments throughout. You know the ones, the clips that they will eventually show during the broadcast of the awards, the staggering displays of intense emotion that will either bring the audience to tears or perhaps even rub them the wrong way because the actors seem to be trying too hard, trying to win an Oscar rather than the art coming naturally to them. Having already seen nominations and wins early in this award season for people like Casey Affleck, Michelle Williams and Lucas Hedges, I knew the "wow" moments were coming, and I was ready. Except they never really come, the closest being an exchange between Lee Chandler (Affleck) and Randi (Williams) that carries profound power and devastating emotion without going over a line that makes it feel like manipulation. The "wow" moments never really come because the entire film is one, with every scene feeling real. Honest. Authentic. Human. What Kenneth Lonergan has created here in Manchester by the Sea, both as a director and almost more importantly a writer, is remarkable, a beautifully elegant portrayal of the human condition before, during and after an unspeakable tragedy takes place. The story is told both in the present and with a perfectly executed usage of flash backs, so we can see what a person like Lee is going through now and then fill in all the gaps as to what lead to this point. 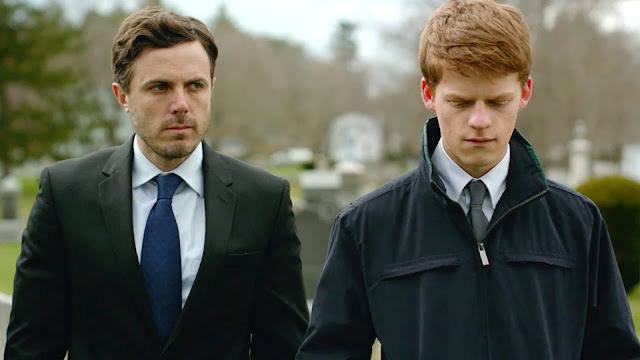 I knew I was in for some special performances and the buzz regarding Affleck taking home the Oscar for lead actor is absolutely justified, with his subtle and nuanced take on the material being one of the crucial components to carry the entire damn film, but I think the one performance that absolutely floored me was from Lucas Hedges as Lee's nephew Patrick. It's a supporting turn that elevates the work of Affleck by his side, bringing not only essential comic relief but also tender, shockingly natural emotion to the screen. He's a perfect example of what I was referring to early. He's honest, authentic and human. He isn't Lucas Hedges during these 130 some odd minutes. He's Patrick. The aspect of this film I suspect will be the most surprisingly, as it was for me, is just how funny it is. 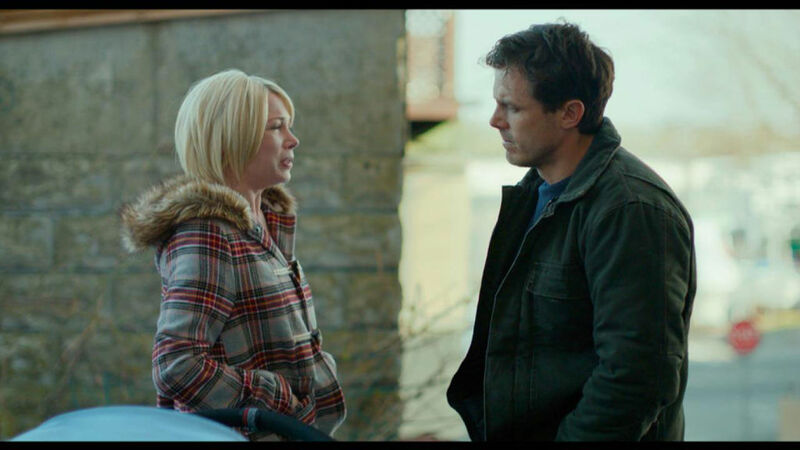 Manchester by the Sea is correctly labeled a drama and a deeply emotional, heartbreaking one at that but that doesn't demonstrate just how important it is that Lonergan's script taps into the lighter moments in order to balance out the darkness. Manchester by the Sea is a masterful work, and easily one of the best movies of 2016. I agree with everything you said, especially the comedy. My theater was laughing a lot more than I thought they would, and I felt that this film really balances real experiences with natural comedy. The only thing I didn't like about this film was that at some places the music didn't seem to fit the scene. That's interesting Cody, I would have to revisit it to see what you mean in regards to the music I guess, I didn't really catch it. I loved the relationship between Lee and Patrick so much, terrific chemistry between Affleck and Hedges.